This apartment hotel offers a unique location and excellent services. The apartment hotel is ideal for business travellers as well as leisure tourists. 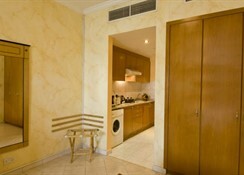 It comprises a total of 126 apartments and is fully air-conditioned. Guests are welcomed into a lobby with currency exchange facilities, room and laundry services and a car park.